It’s a wonderful time of year. The weather is getting cooler, football is back, and the children have been forced back to school – I laugh every morning as I see them, tired and sullen, shuffling towards the bus and lamenting the loss of summer freedom that I no longer get to enjoy as an adult. Call me a bitter old man if you like, but nothing makes my day like some good old fashioned schadenfreude now and again. But while these things are nice, the BEST part about this season is the return of the Pumpkin Spice Latte at Starbucks. Let me start by saying that I’ve never been pumpkin crazy, per say. Whenever we carve them, I always let my wife do the gutting because come on, ew. Pumpkin pie is fine, but I eat it more as a vessel for Cool Whip than anything. But for some reason – maybe it’s the delicious, spiced aroma, maybe it’s the trace amounts of cocaine they put in the syrup – I have a very physical, visceral need for that drink…I know I should stop – for as often as I’ve reloaded my card lately, I might as well just have my paychecks direct-deposited into my Starbucks account – but I can’t. I don’t want to, and I know all my #PSLunatic ™ brethren out there know exactly what I’m talking about. It’s not what I would call a proud moment, but it is a happy one. Now I know there are naysayers out there – snooty coffee purists that drink their coffee black, or roast their own beans – that will tell you the PSL is a syrupy bastardization that shouldn’t even be classified as coffee. And that’s okay, this is America, and people are entitled to be blatantly wrong and belligerent about it – the most obvious examples of this being Al Sharpton and Congress – and also because plain coffee tastes like water that’s been strained through a dirty sock. Another point to consider is that these coffee snobs are the same people spending hundreds of dollars on coffee beans that have been literally pooped out by Southeast Asian skunk rodents! This is true! 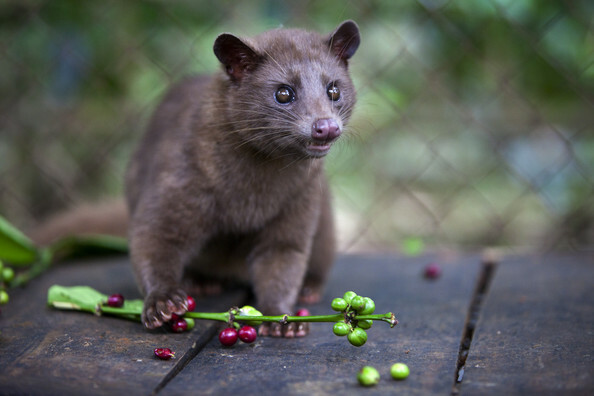 There is a highly sought-after type of coffee called Kopi Luwak, which is produced by feeding coffee cherries (whatever those are) to a little animal called an Asian Palm Civet that eats, partially digests, and eventually defecates the beans, who’s flavors are subsequently ‘enhanced’. 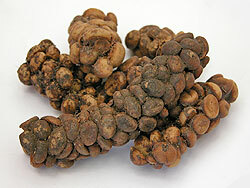 The Civet doots are then harvested and sold for up to 550Euros per kilogram (roughly $1200 per foot-pound, or 8000 Looneys per BTU for our Canadian readers). I don’t know about you, but I think I’d rather have my coffee enhanced with artificial sweeteners and pumpkin goo than the intestinal juices of some jungle ferret who’s passed the base ingredient of my beverage through scent glands that –according to Wikipedia – “emit a nauseating secretion”. But I digress…while I love the PSL, and will stand proudly by it until it rots my teeth or sends me into a diabetic coma, I do believe it to be a dangerous gateway coffee. As I mentioned above, I do not care for coffee. I am, however, a huge fan of cream and sugar, which this – along with many other Starbucks beverages – provides in droves, and now I come back even when the PSL isn’t in season. It started innocently enough – I’d get frustrated that the season was over, and grab one of the Christmas lattes instead. Then came the caramel macchiatos, and then the s’mores frappucinos, and suddenly I was drinking all SORTS of nonsensical words, loaded with the life-giving espresso that I’d been unwittingly addicted to! And it’s not just me – walk into any Starbucks in the country and on any given afternoon you’ll see scads of pretentious 15-going-on-30-year-old CHILDREN loitering around with their Venti-mocha-chocha-whipped-cream-frappa-lotta-coffee drinks, feeling cool and “doing homework” on their iGadgets. Starbucks has brilliantly addicted the next generation of caffeine junkies without anyone so much as batting an eyelash, and they didn’t even need a cartoon mascot. I suppose I should be horrified on some sort of moral grounds, but my real complaint is that these ridiculous children are causing longer lines for me. Seriously, get out of my way, buy a 12-pack of Mtn. Dew, and go play outside! I propose we deal with this epidemic by passing a national law preventing anyone under the age of 21 from entering a coffee shop without an adult, and that anyone caught attempting to enter illegally should receive a good smack upside the head…and maybe a wedgie. I believe this measure would have significant bipartisan support. Please contact your local representatives immediately and demand their vote. In the meantime, I need to make a coffee run. I just got an email announcing the release of a new ‘Toasted Graham’ latte, and I can feel my liver starting to tingle. My advice is to stay away and save yourselves…it’s too late for me, and you were just clogging up my drive thru anyway.